Bespoke Social was established as a way to offer a constantly developing selection of event theming that would cater to any demanding event planner. We are driven by the needs of our clients, and are constantly expanding and refining our product range to best accommodate a diverse range of needs and desires. This is not simply a business for us, but a means for us to explore our passion of event decorating with you. It is our goal at Bespoke Social to be a one-stop boutique solution for any event. This has resulted in us considering a wide range of tastes and likes, compiling a comprehensive catalogue that can create the perfect event for anyone. 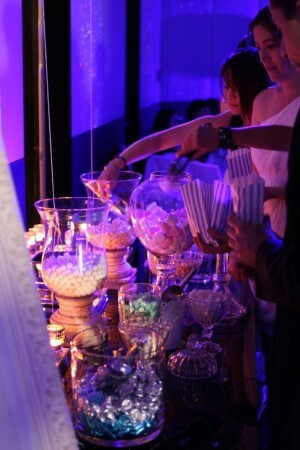 Whether you like the colour, sweetness and general fun of a lolly bar, are fussy about chair hire, or enjoy the careful and deliberate use of warm fairy lights, we’ve got you completely covered. We can also heartily recommend you browse our catalogue to find some inspiration that you otherwise would not have considered. Nothing is more exciting than stumbling upon the perfect accompaniment to your wedding that you might not have found! We are particularly passionate about wedding theming at Bespoke Social, which is why our tailored catalogue contains interesting products purposely designed for the creation of unique and interesting themes. 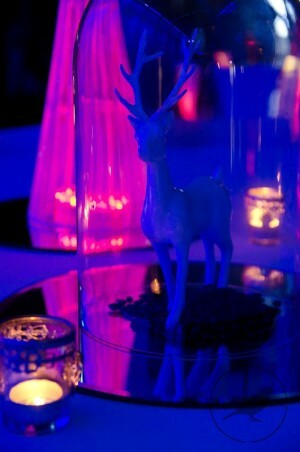 We enjoy wedding theming so much for one simple reason: it means a whole lot of fun. 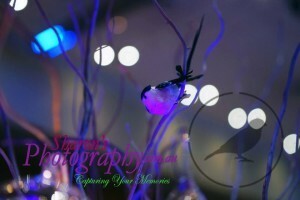 For those that like to forgo more traditional aspects of weddings to add a touch of fun and uniqueness, we offered themed centrepieces that can positively transform your event into something completely unique. 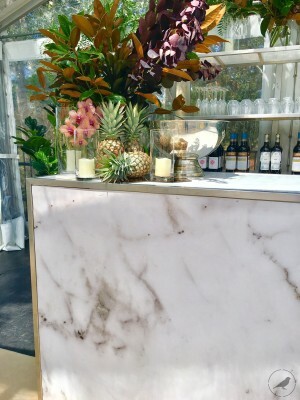 We also offer ceremony set up for your Sydney wedding reception, lessening the stress of your special day with professional care from an experienced team. If you think your upcoming event would benefit from unique and personalised decoration, don’t hesitate to get in touch with us. We’re always ready to provide you with the advice and knowhow that can turn an ordinary event into an extraordinary one. With an exciting catalogue as big as ours, we understand that a few pointers can go a long way. You can get in touch through our simple contact form, or if you’d like to personally chat to one of our event decorators, you can reach us on 02 9982 6705. 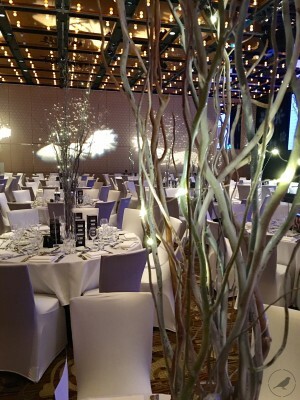 We look forward to making your next Sydney event incredible! It was my absolute pleasure working with Bespoke Social to pull off a great media launch for the recent Katy Perry project. Bespoke Socials ability to deliver great creative solutions on brief and to budget provided invaluable peace of mind to myself (project manager) and the client. The friendly 'can do' attitude at Bespoke was greatly appreciated and I would recommend their services to anyone looking for creative event theming. Just wanted to say a big thank you again for not only supplying the plinths in such a short time, but making the trip up to the GC to see that everything was ok AND then helping us out on the night! You definitely went above and beyond the call of duty and it was very much appreciated. Thank you Bespoke Social for another beautifully decorated event! You are our go-to event team, as we know you will meet our every need to pull off a fantastic event. Great feedback from all guests for a second year in a row. Thank you Amelia and the Bespoke Social team. THANK YOU so so much for everything with Claire and Andrew’s wedding. It was absolutely gorgeous and everything you did was amazing! I love how every time I have a picture in my head you are able to create it in front of me! vision for an event come to life. Amelia has worked on several projects with Verve Creative Events over the course of 2012, all to great success. Her eye for detail, creativity and value for money are second to none. Amelia is a very professional, efficient and dedicated service provider. She has a high attention to detail and leaves her clients well satisfied by the aesthetic appeal of her work as well as the service provided. Her insights into functionality of an event as well as how to make it look good are always respected by clients. Amelia is a well respected, hard-working and highly organised professional. I first met Amelia in 2011 at the RSVP Sydney's Event Showcase and had the pleasure of dealing with her for the 2012 exhibitions as well which was a breeze. I would recommend working with Amelia as no request is too difficult to accommodate and the outcome is always amazing! approach. The finishing touches were pure class. 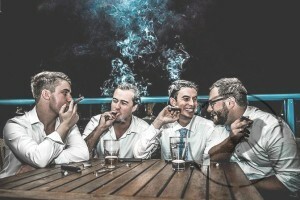 The service and professionalism of Bespoke Social is second to none. 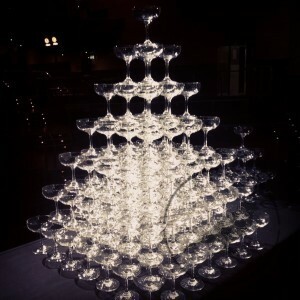 We hired the champagne tower for our club's 30th Birthday and it was absolutely stunning. Many members commented on how beautiful it looked. It was very good quality and Amelia even came out to build it for us which was fantastic. I would recommend Bespoke Social to anyone and look forward to working with them again in the near future! Amelia and the Bespoke Social team were always eager and available for all aspects of our wedding decoration. Every stage was thoroughly and professionally covered, from the very creative inspiration, detailed planning and preparation stages all the way through to the prompt set up and pack up at the end of the night. It was an absolute breeze working with Amelia, the quote we received were extremely competitive and covered more than just decorations. I was extremely impressed when a trip to the flower markets with Amelia resulted in all of the wedding and bouquet flowers being purchased within the decorations budget and without need for the additional expense of a florist! We had everything we wanted and more and would definitely recommend Bespoke Social to anyone wanting the perfect event with very little effort. I really appreciate all of your effort and I look forward to working with you again. Working along side Amelia and the Bespoke Social Team has been a pleasure. Amelia is always willing to go the extra yard to ensure the event runs smoothly. Bespoke Social have the best range of hire products and affordable prices in Sydney making it easy to get everything I need in one place. Thanks to the team at Bespoke Social and looking forward to working together again. It was an absolute pleasure to work with Amelia and her team. Response to our initial enquiry was extremely fast and the service fabulous from then on. 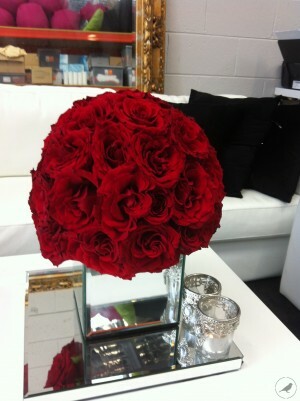 Flowers were gorgeous and cost extremely reasonable. I have no hesitation in recommending this company and will happily use again. Amelia from Bespoke was fantastic to deal with in organising the setting up of our reception. She is very personable, professional, efficient and has a lot of great suggestions. Would highly recommend her! I have had the pleasure of being a part of a beautiful event that was themed by Amelia. I was so blown away by the fine detail and the careful consideration that went into theming the event. I'd never really experienced anything like it. Since this moment I have raved about Amelia's work to anyone holding an event or celebration. Amelia does such an amazing job and I encourage you to contact her should you have an event, which you'd like to remain memorable in the eyes of your guests. Amelia takes her clients seriously and and truly pours much love and passion into her work. Jeannie and her team have always executed our events to the highest possible standard and repeatedly exceeded our expectations. She constantly presents creative and affordable ways to reinvent our event and ALWAYS goes the event mile before, during and after our events. It’s been a real pleasure to work with Bespoke Social and professionalism is second to none – I wouldn’t hesitate in recommending this team even for the toughest event challenge. Jeannie from Bespoke Social helped to theme my wedding ceremony and reception. I was blown away by the dedication and creativity of Jeannie who went above and beyond to make our wedding day truly special. Jeannie from Bespoke Social helped to theme my wedding ceremony and reception. I was blown away by the dedication and creativity of Jeannie who went above and beyond to make our wedding day truly special. Jeannie had loads of ideas and was always full of energy and optimism. No detail was too small to be considered and made perfect. I would reccomend the Bespoke team for any event! those is the experience people feel as a result of attending your event. a theme based on the feedback provided. impression for all who attended on the day. 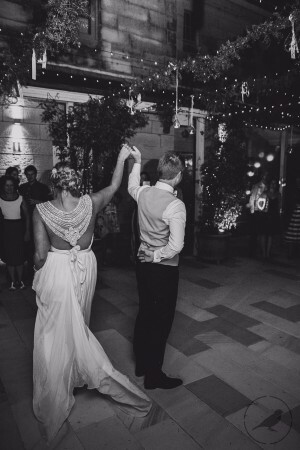 We were lucky enough to pick Amelia and the team at Bespoke Social to help with our wedding in October 2015. From the beginning it was amazing to work with Amelia, she is very professional and was able to make our ideas come to life, just in a much more stylish manner than we would ever be able to have done ourselves. From start to finish I felt like I had nothing to worry about, Amelia was always happy to answer any questions we had no matter how small. It was definitely all the little touches that our guests remember. I would recommend Amelia 100 times over, I only wish Rob had of known Amelia at the time of the proposal for one of her amazing proposal set ups! Thank you to Amelia and Bespoke for helping to make our wedding day perfect! Just dropping you a line to say a big thank you again for making our event such a success on Monday night for our Conference Gala evening. I appreciate all your help with working through the detail, both with myself and the venue team, over the course of the last few months and ensuring we translated my vision for the evening on the night. The evening was a huge success with all the staff and the team of Executives full of praise and stating it was the ‘best Activate event to date’ so I just wanted to share my appreciation with you! His party was just perfect. As you know he had the vision from the beginning of building up the backyard and making it level .. then sticking on a marquee. He lost me at that point and and I just knew I couldn’t pull it off without help! Then we met you .. you were all over it from the very beginning .. understood what he wanted .. then calmly went about and organised it all! Was so good to wake up the morning of the party and not stress about ANYTHING. And then after the party .. to not stress about packing it all up either!! Perfectly organised Amelia .. it looked amazing. And we had a great party - that we’ll never forget! 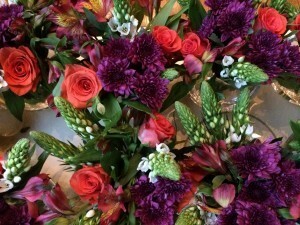 A big thanks to Amelia and her team for delivering beautiful centrepieces for our Awards Dinner. They fit the theme perfectly and contributed to making the evening such a success. Amazing service and reliable, friendly people to work with. Thank you! 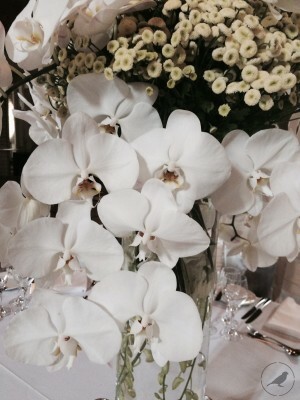 We had the pleasure of using Amelia's services to decorate our wedding at Mona Vale Golf course. We could not be happier with the professionalism and friendliness provided. The room looked amazing and we received so many compliments from all our guests. The room was decorated exactly how we imagined and described. Thank you so much!! Stay updated with Bespoke Social to enjoy our special promotions!